The Motley Fool: provides premium investing advice and market-beating stock research whether you have $250 to invest or tens of thousands of dollars to invest. Oh well, lets get on with it. The Motley Fool supports many forms of investment advice. One adviser is the blog GenevaProdigy supported on the Motley Fool website. 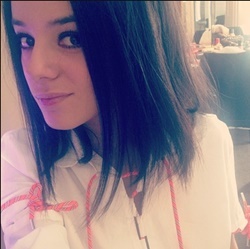 Alizee fans have their favorite songs and videos. I was thinking what is my favorite song with no real video to go along with it. At one time I did and Alizee vs. Alizee pitting same song different videos against each other. But then there are some that just do not have a video. Do you have a favorite of this type? I consider the En Concert videos as official. Well known camera phone or home movie types do not count. An Alizee Nation oddity are all those Veni Vedi Vici searches that end up here. I never have figured out the huge interest there. This was from May 2008 at the Moscow airport. Boho chic was all over the place with Alizee in this pic. Guess I'm Alizee's fashion publicist now! 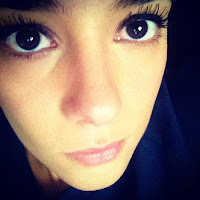 Some short clips of that low voice of Alizee that "we" love, well at least me. I can't even keep up on all the social networks anymore...let's see where this all leads. The reason I am going back here is a fashion story. Back in October 2008 I referred to Alizee's outfit as 'baba cool'. French for hippy or flower child. Tied into the whole 5060 flower power thing...I thought. geez I really blew that line from "The Graduate"
Using Wikipedia as a source, lets peel this onion. "Boho" is an abbreviation of bohemianism. Chic, French to mean style. you see it, floaty dress almost tunic type and footless tights. Who is considered a leader in boho fashion...Sienna Miller. Its adherents were sometimes referred to as "Siennas"
"Miller herself, who claimed later that her boho look was not very original - "I think I'd just come back from travelling or something" - had adopted other styles of dress and her shorter, bobbed hairstyle – ironically a feature of bohemian fashion in the quarter century before World War II – helped to define a new trend in 2006. She was quoted in Vogue as saying "no more boho chic ... I feel less hippie. I just don't want to wear anything floaty or coin-belty ever again. No more gilets ...". Even so, in 2007, Miller reflected that. Yeah that's right you read it, bobbed hair style! And this Sienna Miller if it does not ring a bell...Sienna Miller's appearance as 1960s "starlet" Edie Sedgwick in the film Factory Girl positioned her once more as a bohemian style icon. ohhhhhhhhhh, Edie Sedgwick, the story behind the 5060 song and supposedly who the new album will be about....Edie the originator of leotards under the dress...Alizee don't make me work so hard at this!!! Give me a hint once in a while, and you never say a word. It's all tying together now. Not a mention anywhere on Alizee's style, in any publication. Well there is now. So am I on the right track Alizee? I will settle for the equivalent of an Anna Wintour nod. Maybe the next album will be called boho-chic. This thought occurred to me this afternoon. Out of all the Alizee "forums" that exist, most are geographically based. All accept everyone but still they are centered in a particular area of the world. Are there areas of the world that are more fanatically positive toward Alizee then others? If so, would that have an influence on me on where I would want to have future appearances? Absolutely for me. Alizee, check out these gadgets!!! This is a follow up on the Alizee fans gadgets!!!! Also some correspondence from Alizee America. OK, OK I will check that spam folder on a regular basis. 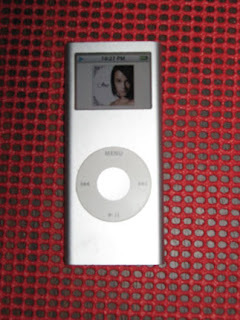 So, I read your Twitter post about your request for Alizée's fans to post pix of their gadgets, as she herself is a gadget fan herself (and, like every other good musician, an Apple fan to boot). My first--and current--digital camera, what I used to take the remaining photos, as well as this set of The Sisters of Mercy (http://bit.ly/taELN) and the then-new Tacoma Narrows Bridge (http://bit.ly/R1wCZ). Her name is Lorelai (as in Lorelai "Rory" Gilmore from "Gilmore Girls"), she's my first lappy (and second Apple product overall), turned 5 this St. Patrick's Day, and still keeps on ticking (x's fingers for a used Intel reincarnation, though). 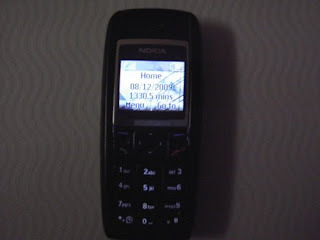 My prepaid cell. I don't make too many calls with this, but this is one of the things I'd be lost without. 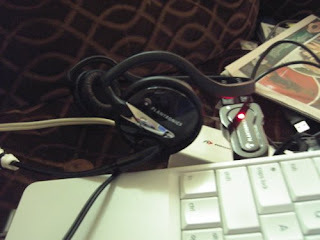 I use this for Skype, online chatting and recording my podcasts (my 2nd demo podcast, if interested: http://bit.ly/ohbhr) with Audacity. I'm a bit of an audiophile, thus the JVCs. As for the flash drive, it's pretty good, though I could go bigger than 1GB. Had this for nearly two years now, and would totally be lost without it. 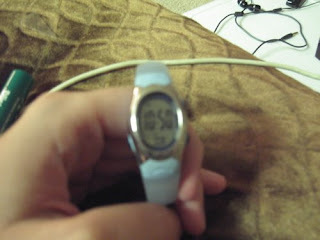 Also: I apologize for the bad pic; my watch apparently doesn't like her picture taken, it seems. Again my apologies for the delay. Anyone else? 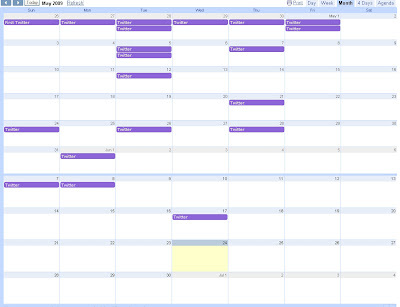 Ever wonder what Alizee's Tweets look like in calendar form. Geeez, that doesn't sound right, oh you know what I mean. Well, yeah, I wondered too. What, you haven't, you say you have a life. Yeah right. What hairstyle for Alizee? Don't worry, I will not be suggesting what style Alizee should have, only share some styles that she has chosen and the possible why's. I had to take myself beyond the my normal knowledge of hair cutting, knowing what length hair a #2 clipper will give you and do a little more searching. As always the internet becomes an extension of my brain and this is where we ended up. The article goes on to describe 6 different shapes of faces. Round, Square, Oval, Heart, Diamond and Oblong. To me some have very obvious shapes and others not so obvious. It was difficult for me to determine the shape of everyone's face. Some of the bad pictures I thought were just bad hair days, but what do I know. So what about Alizee, what shape of a face does she have? Here is more of a description, what do you think best describes Alizee's face? Those four descriptions came from a site called Total Beauty From those descriptions I decided Alizee fell into the category of a heart shaped face. By the way I am making this real easy on you, just for fun you can google 'heart shaped face' then hit images...and you will find this conversation can go on and on and on. So what did 'Total Beauty' have to say about heart shaped faces? Take a look!!!! So...maybe more 'heart shaped face' hairstyles to come? Just trying to keep us ahead of the curve. Let's take a quick look at Fifty Sixty. I have always thought that Alizee sang Fifty Sixty with a Bo Diddley beat. Bo Diddley beats can vary, some faster then others. Here is one Bo Diddley beat to drums. Link to the video is here if you are interested. I wish I could find a sample closer to the tempo of Fifty Sixty. Now let's listen to Alizee sing Fifty Sixty. Alizee does the Bo Diddley beat with her voice. It's not as sharp but I hear it, especially the second time around. I am not a musician and I do not have sophisticated software, it would be fun to try a remix of Fifty Sixty to a Bo Diddley beat with their tempos matched. Alizée and Annily will be busy tomorrow, Sunday June 21. It is La fête des pères, Fathers Day. A nice time for Jeremy and Jo, Happy Fathers Day to both. A daughter summed up her thoughts very nicely here. Today on Alizee Final Jeopardy the category is Product Title Combinations! Ok to contestant number one, what is your response? oh sorry it's blank... could not come up with anything, thanks for participating. Contestant number 3, do have the question we are looking for? There is everything Chanel. 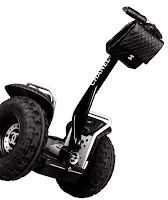 The Chanel Segway. And of course the Double C logo made its way into one Alizee video....Fifty Sixty...as...nail polish! Normally I try to keep it related to anything but me, but what the heck. Started out the week redoing a whole new blog layout. The previous layout had become slow, over packed with items and...infected. Time to look for a new layout. The previous one I took a standard two column format and tweaked the code to make it a three column and added and added and added. This time I looked for a 'pre made' simple format. But can I conform to the less is more theory? I will try to make use of more links and not everything plus the kitchen sink on one page. We shall see. As I gradually added to the blog layout a new development occurred, my laptop crashed. I thought I fixed it with running a repair but...that only put it on life support. It appeared I lost everything but with some persistence I was able to bring back all the files and save them, at least all I could remember to save. 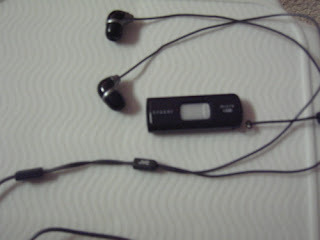 How to save them...I could not do with an online back up, it would not allow me. A trip to the local discount store for computer junk food I discovered a 4GB flash drive for $10, I'll take two. Saving on the flash drive the computer did let me do. Now to do a clean install...with the CD spinning and hard drive working the laptop kept overheating and shutting down, even with a laptop fan under it. After wasting much time and continuing to shut down time after time I came up with a new idea. I let it cool down, I hustled it along to the formatting portion, then I put it in the refrigerator. Yeah, you read that right. The refrigerator kicked on almost immediately. After the format portion was finished I had to keep opening the door to answer questions as the install went along. The bottom line...it worked!!! This is real geek-bait stuff and hmm, I wonder if any of those Sarfari browsers could be??? The combined use of Internet Explorer still more then Firefox so I do need to pay more attention the IE users then I thought. So about mid morning today Alizée does a Tweet and decides to log in to MySpace to see whats up there. Must have had some spare time today. Ahhh don't you just love Twitter. The 140 character post to share what is on your mind at the moment...no biography, no upcoming events, just a quick share, an insight or some information. How else would we find out about the little things like Bruno or the Amy mash up? Yes, I know for some of you it shakes your world and your vision the Angel Alizée or shall I say the Stepford Alizée...hey, didn't I do a post on that...oh yeah, a long time ago in a galaxy far far away there was the Stepford Alizee post. Keep up the Tweets Alizee, they are fun! 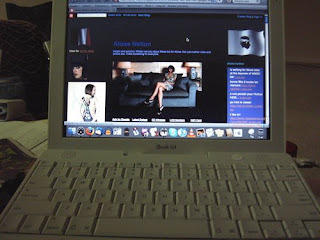 We all discuss Alizee web sites at one time or another. Good, bad and otherwise. Here Shakira has put together a site that trys to draw together all the major social network sites. Worth looking at. It is all well done. But I just can't see keeping all these sites going plus the starting web site appears that it will be more then just a starting point. The next step will be keeping them all updated. Job security for someone. This is becoming a massive project for entertainers. You may find it on Alizée Mexico ...scroll down about two thirds down. Maybe get your own? 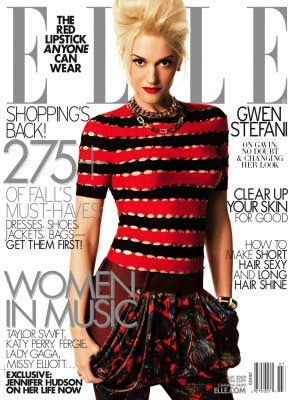 Elle magazine's article about Gwen Stephani. Gwen's 40, Alizee is 24...it's work somedays! It's not that we need to know about Alizee being a Mom, it's that we need to keep it in mind. I just received a comment from a December 2008 post. It stated they just added that post to their web site. OK...but it's a foreclosure site. Alrighty then, I didn't do it. Alizée, Ruro shared 3 gadgets and you are on everyone!!!! Here's his post. First, the only Apple of the lot, my 2nd generation 2 Gig Nano, which has served me well for over three years now. Contains Alizée's entire catalogue of music, and more remixes than you can shake a fair-to-medium-sized stick at. 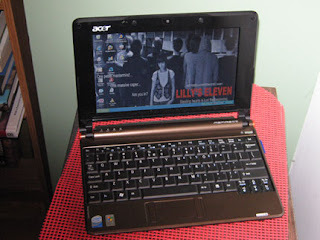 Finally, my new Asus Aspire One subcompact notebook, 9 1/2" of pure awesomeness, which I actually just got for free(!) through my workplace's employee rewards program. (I was actually saving up my points to upgrade to an iPod Touch, but then a special offer on this baby popped up, so I grabbed it!) I heart it very much. It's the perfect size and weight for travelling with--I've been editing the podcast with it on the train to and from work all week, which has been awesome. It's not an iMac, sure...but I could run OSX on it if I wanted to! 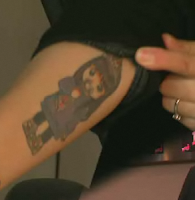 And it's cute, too! 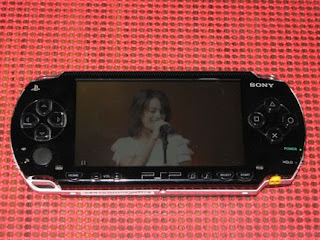 As we know Alizée is a high tech gadget freak! We have seen her Casio calculator watch. She showed up glimpses of her phone and camera on Twitter. Let's show a few of my own. Pharos 525 PDA. It's a GPS. It has a wifi and blue tooth connection and can make Skype calls via the wifi hook up (really dont use that). Minolta DiMage Xg. 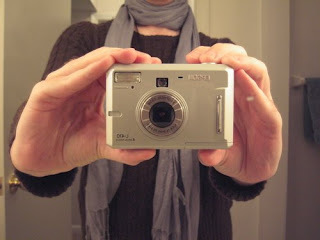 I love my little camera. It does a great job for me. 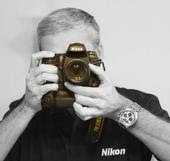 The lens in inside and does not come outside the camera which helps if dirt is a problem. Takes movies too. Small LCD view screen, not a problem for me. The story on getting it...about 3 years ago I was looking for a camera, a friend had an accidental meeting with Billy Gibbons and mentioned he had this small cool camera...so I took a look at one and bought it. Love my SD card for the camera that snaps open to fit in a standard USB port. Just Can't live with out my Sirius on the road! So what do you use that you don't mind sharing with Alizée? Your phone? My phone is embarrassing, I am brutal on phones. I have a drawer of them that no longer work. I loved my blackberry but thats just another one that does not work. They just dont bounce well. 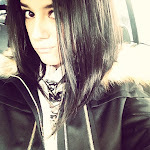 So show Alizée your phone, or just the one you can't live without. A comment here, link a pic. 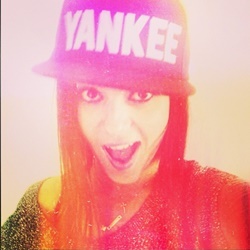 Or email me, I ll do a post just for you Alizée fan ________ and show the pic(s) your sent. 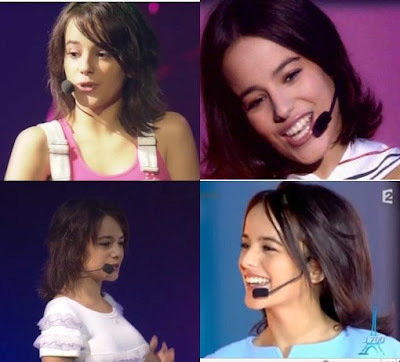 Do you have a favorite Alizee smile? Someone out there probably already has a collage of smiles, then Ruro of Alizee America can do a podcast on it, then it can be converted into Smiles of Alizee - The Movie. I would go! 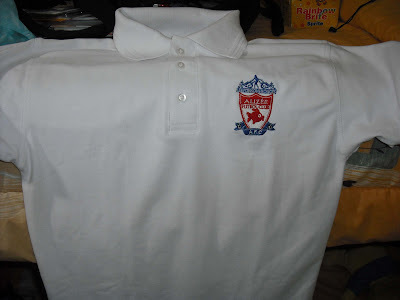 New school version coming soon. I was taking a look at Alizee America's new video quality upgrade. It was nice viewing a larger version of Fifty Sixty. Alizee does a fair share of left handed mic holding in that Fifty Sixty video. It has been my observations that Alizee is a dominate right hand mic holder. Mic in the stand is a whole different story. What about the head set mic? Well lets take a look. Personally I am strongly left cheeked but it appears that Alizee can go with either cheek. So now what...well...it's Friday live time...so...I just gave you a new reason to watch all the videos again this weekend! Feel free to report your observations by comment or if you have a relevant photo email at alizeenation@gmail.com. Well look at Jeremy logging into MySpace again. Do you think he and Alizee have a discussion about it? 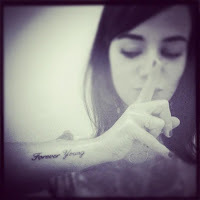 Well here is some interesting news for a change...a brand new website, a new forum for Alizée! It's called Alizée Media. It is brand new, claims to offer some differences and certain rules to follow...I am glad to see another website on the plus side. It is going to center around "media". Appears to be out of Ireland. I am running out of room. So let's try this. 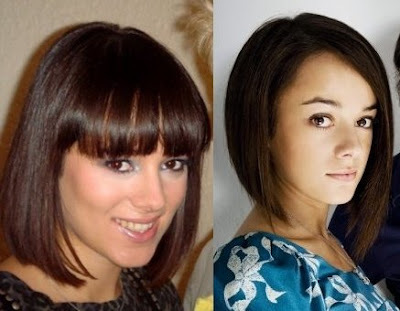 Here are links for keyword searches for Alizee and Alizée. Twitter does recognize both as different words. So here we go, and they will also be located on the right hand column. "Lors de cette émission, certains invités prestigieux dont Johnny Hallyday, Isabelle Boulay, Nolwenn Leroy ou Alizée ont donné la réplique aux Star Académycien"